A group of engineers from the Industrial Design Center (IDC) at IIT-Bombay has developed an innovative keyboard for mobile phones that makes it easy and fun to chat in Indian languages. Currently available only for the Android platform, the team hopes to make Swarachakra app available on iOS and Windows platform as well. The app currently supports 12 Indic scripts viz. 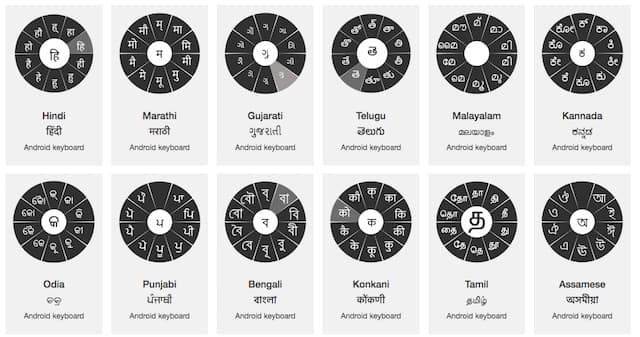 Hindi, Odia, Marathi, Punjabi, Gujarati, Bengali, Telugu, Konkani, Malayalam, Tamil, Kannada and Assamese. Users will have to download the relevant app for their language directly from Google Play store. We installed the Marathi language Swarachakra app and found out that the setup process is fairly straightforward. The keyboard design is indeed very innovative. Pressing any letter opens up all possible options you might to type. 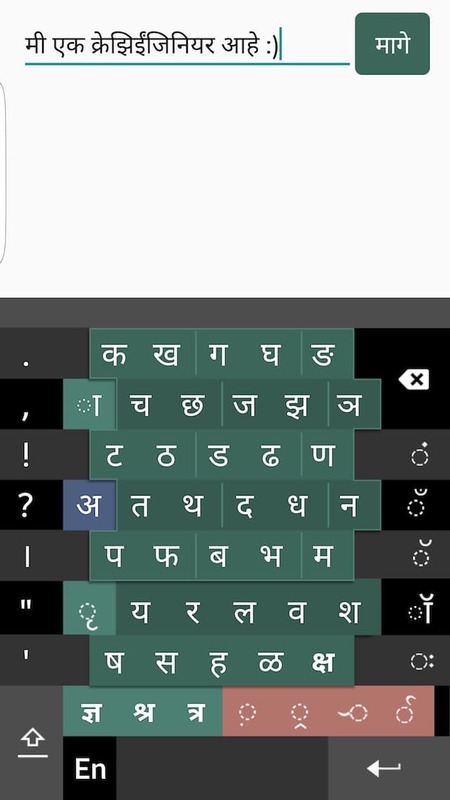 For example, if you press 'क' on the keyboard, the app will open up the 'swarachakra' with options like का , की , कु , के and others. We found it bit difficult to get used to compared to Google Indic Keyboard; which converts words based upon their spellings. However, after initial small learning curve, the app is very easy and fun to use. Prof. Anirudha Joshi of the IDC said that the Internet has very little material available in Indian languages. This is because of the structure of the scripts that we use. He further informed that the Indian languages are a part of 'Abugida' category, which is mostly in use in the Indian sub-continent. This category has a very unique structure and the text input tools will have to be modified accordingly. The official Swarachakra website mentions that the project is over a decade old. The initial concept Swarachakra was developed back in 2003 by engineers at the IDC. Those were the 'desktop' times and the team was figuring out a way to replace the standard QWERTY keyboards with something that'd make it easy to type in Indian languages. The team built about 100 keyboards, but used them only for internal research projects. Popularity of Android platform led the team to rethink the problem and found out a solution in 'Swarachakra'. The team has been working on improving the speed and accuracy of typing. The Swarachakra is bundled with the 'Better Together' framework that allows typing on one phone and seeing the text on another phone at the same time. The IDC team will unveil both Swarachakra and Better Together projects at an event at Microsoft Research Center in Bangalore on March 20th. We'd encourage you to head over to Google App store, search for the app and install the one for your own Indian language. Curious to know if anyone's had time to try out the Swarachakra app on their phones? Did you find it easy to type with?